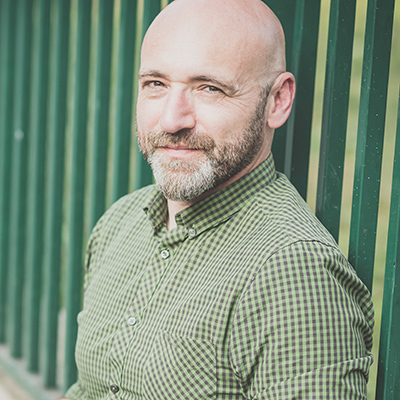 Does bad breath leave you feeling uncomfortable in social situations, self-conscious from the reactions of others, held back in your career, afraid to kiss or be intimate, or feeling hopeless? The National Breath Center, conveniently located just outside of Washington DC, is dedicated to the elimination of severe halitosis. We understand the embarrassment, fear and unhappiness that a bad breath condition causes. Since 1993 we have been restoring confidence to individuals with Breath Rejuvenation™, a Total Cure for bad breath. Our breath counselor, Karin, will take the time understand how bad breath is affecting your life and help you coordinate the road to a lifetime cure. 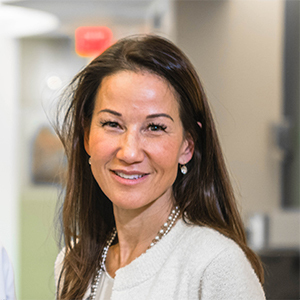 Like all the members of the National Breath Center team, Karin is dedicated to helping you eliminate bad breath and get back the life you want. If you have been searching for an answer to your breath problem, watch this 2-minute video as Dr. Richard Miller, DDS explains three key factors you should know when choosing a bad breath doctor and how the National Breath Center differs from other breath clinics. This extensive exam is the key to ensuring the success of your Total Cure™. Halitosis specialist Dr. Richard A. Miller and his team perform a complete oral and gum exam for the presence of bacteria and biofilm. All other factors contributing to the severity level of halitosis will be tested, measured and documented. Biofilm removal is a meticulous procedure that has required many treatment sessions for full elimination. In 2017, Dr. Richard Miller invented specialized instruments for biofilm removal that has cut treatment time by 60%! In most cases, the Total Cure™ can be completed in as little as 5 office sessions. Because no two bad breath cases are alike, a plan for the Total Cure™ is created just for you. Based on the severity noted during the exam and the amount/thickness of biofilm on the tongue and under the gums, we can determine the number of treatment sessions necessary to produce your complete cure. While biofilm is the single largest culprit of severe bad breath, we don't stop there. The Total Cure™ addresses all factors that are causing bad breath, including bacterial and acid/alkaline imbalance, dry mouth, food/diet, metabolic odors and more – so that your fresh breath lasts a lifetime. Tongue Rejuvenation®, personally developed by halitosis doctor Richard A. Miller, DDS, is a hands-on and painless treatment which physically removes 100% of the biofilm directly where the bacteria that cause odors live. Without a home, these bacteria are easily eliminated and prevented from returning. Unlike other treatments for bad breath, the Total Cure™ featuring Tongue Rejuvenation® is so effective that the National Breath Center promises to cure your bad breath, or your money back. "My breath problem started in my teens. At 52, I am a super clean person, educated, polite, well-dressed and stay in shape. Bad breath cost me my management position, my marriage and many friendships. This was my story until I came to your office. After the Tongue Rejuvenation treatment, I have been bad breath-free for over a year. Thank you, you gave me my life back."  Do I have to come to the National Breath Center to receive treatment? Yes. Breath Rejuvenation treatment is a professional, hands-on treatment that is performed exclusively at the National Breath Center located in Falls Church, VA. We are minutes from Washington DC, making it a convenient destination for those traveling. Is this a product-based treatment? No. Simply put, products - no matter how strong they are - cannot eliminate the source of bad breath. Breath Rejuvenation is a professional cure performed exclusively at the National Breath Center by halitosis expert Dr. Richard A. Miller and his team. Using specially designed tools (patent pending), they painlessly remove biofilm from the tongue and under the gums, where the source of bad breath resides. Do you have an "at-home" version of this treatment? No. The flaw with all at-home remedies is they cannot remove 100% of the biofilm coating on the tongue or under the gums. Professional strength mouthwashes may help to kill top layers of bacteria and diminish odors, but constant use of these products will be necessary to keep the odors at bay. Breath Rejuvenation treatment is individualized based on the findings of our comprehensive halitosis exam and treatment duration is ultimately dependent on the severity of the breath condition. Most patients complete treatment in as little as five office sessions. I just had a dental exam. Can I skip the halitosis exam and go straight to treatment? Unfortunately not. The goal is to be thorough in the diagnosis so treatment can create a total cure that eliminates bad breath at its source. Skipping any portion of this exam will not provide the entire picture of the problem at hand. We perform a complete oral and gum exam for the presence of bacteria and biofilm. All other factors contributing to the severity level of halitosis will be tested, measured and documented. You will be presented with an individualized treatment plan at the conclusion of the exam and have the opportunity to get any questions answered. The plan is yours to keep and you will know exactly what is causing your condition and how it can be eliminated. The first step to becoming free from bad breath is to schedule your comprehensive halitosis exam. This is a 2.5 hour appointment and the fee is $665. If you choose to accept full treatment, half of your exam fee will be applied to your treatment fee. Most treatment plans begin at $4,000. How can I be sure this treatment will cure my bad breath? We are so certain that Breath Rejuvenation will work for you, we offer a money-back guarantee. If you are tired of bad breath ruining your social, professional & personal life, we can help. The National Breath Center, located in Falls Church, VA, is a bad breath clinic devoted to removing the oral source of chronic and severe halitosis. Our mission is curing bad breath. For over 25 years Richard A. Miller DDS, founder and halitosis expert, has been helping thousands win their battle with chronic bad breath using his proven Breath Rejuvenation™ - Total Cure professional treatment.